The Thrifty Divas - Saving Time and Money! We are two full-time moms of young children who lead very busy lives. We are passionate about saving money and love to teach others how to do it, too. Our main goal is to save you time and money while providing money-saving tips, freebies, coupons and the best shopping deals around! Elizabeth, the blonde diva, has over 20 years of couponing experience and loves to find something for nothing by using coupons! She has a true passion for saving money! She is focused on the family budget, which includes only $60 per week for groceries to feed a family of 4. Elizabeth enjoys spending time outdoors with her two young children and husband of 7 years. The best entertainment for the family is free entertainment (the pool, bike riding, nature walks, etc). Laura, the brunette diva, has over 10 years experience in couponing. She enjoys spending time with 3 young children and wonderful husband of 10 years. She enjoys getting together with her gal pals and exchanging money saving ideas. The Thrifty Divas: New & Improved! The Thrifty Divas website is new and improved! We are so excited about to unveil our new website with new features! What does the new site mean for you, our readers? We invite you to check out our new look here. Via e-mail - you will continue to receive updates via e-mail. Via RSS reader - you will need to resubscribe to us. Go here to enter the Organic Valley Celebrate Organic contest where you can win a year's worth of free Organic Valley products for yourself and a donation to your local food bank. You'll also get a special-edition Rootstock magazine with $10 in coupons (while supplies last). Announcing Our Winner: 2 Movie Tickets! 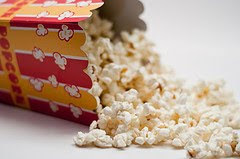 Congratulations to Shelly Dixon who won our latest giveaway - 2 movie tickets to Regal Cinema! Shelly will get to go to the movies for FREE, courtesy of The Thrifty Divas and Mr. Deal Finder! Hot Printable Coupon For $1.10/1 Progresso Soup! Tara from Deal Seeking Mom just posted a VERY high-value Progresso coupon that you don't want to miss. Head over HERE (HERE for Firefox) to print a coupon good for $1.10 off 1 Progresso soup. I was able to print 2 copies and they don't expire untill 1/7/2010! Total price $0.17 for 2 cans! 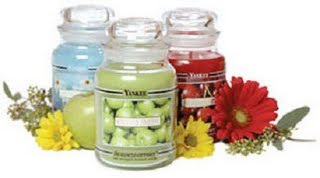 Click HERE to print a coupon valid for "2 FREE Yankee Candles when you buy 2." The coupon is valid at any participating retailers, including Yankee Candle stores and other retailers who carry their products. The coupon is valid for the large jar candles. The coupon is good through November 29. These are perfect for Christmas gifts! Are you a fan of Neutrogena? If so, here's an offer that can't be beat! Here's another great high dollar printable coupon! Click here to get your printable coupon for $2 of 1 Nivea body wash for women (16.9 oz or larger). Combine this with a sale and it will be pretty cheap! Click here to get your printable coupon for $3 off a $15 purchase at Rite Aid! Hurry, these won't last long. Click here to get your FREE Rimmel Sweet Jelly lip gloss. This new lip gloss is a high shine, no sticky formula - in 4 luscious fruit flavors. Yummy and sweet tasting! Have you ever used Restaurant.com? It's so easy to use and they have a great sale going on where you can buy a $25 gift certificate for only $2!!! Hurry, this offer is valid through 11/12 only! Use code: "ENTREE" to get your discount. Think Christmas gifts, birthday gifts, anniversary gifts or just a date night out on the town! Think Christmas gifts, birthday gifts, anniversary gifts or just a date night out on the town! We've used Restaurant.com before and found some great restaurants in our area. During these sales, sometimes the restaurants are sold out - so hurry and jump on this offer!! You can search restaurants by zip code, which makes it very easy! Remember, this offer expires 11/12. Use code: "ENTREE" to get your discount. If you or someone you love suffers from diabetes, you could qualify to receive FREE supplies, FREE recipe e-books for diabetics, and so much more. Click here to see if you qualify. This offer is sponsored by Quality Health and may require a quick survey. Don't forget about this great shopping event!!!! November 12-15, you can save 30% off at Gap, Old Navy and Banana Republic during their Friends and Family event! Click here to get your printable coupon, valid in-store only. Click here to enter to win a pair of movie tickets (Regal Cinema) courtesy of The Thrifty Divas and Mr. Deal Finder! Hurry, this giveaway ends TODAY: November 11th! Good luck! Click here to sign up for a free sample of Kotex Ultra Thin Overnight Pads with Wings! Hopefully you'll get some coupons with the sample, too! Thanks to Brandie, a fellow blogger from Free Sample Freak who let me know about a great site called Military Avenue. 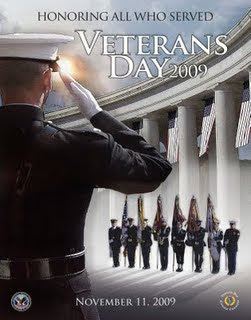 Click here to see all of the great military discounts available for Veteran's Day - tomorrow, Wednesday, November 11th. Military Avenue is a great site to keep an eye on if you're a military family! "About one million Maclaren strollers are being pulled off the shelves, after reports that the hinge mechanism in the back can cut (or cut off) children's fingertips. Read all about it to see what to do if your stroller is on the list. " 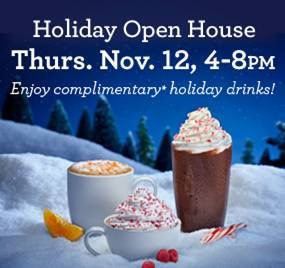 On Thursday, November 12th (4pm - 8 pm), you can get a great FREEBIE at The Coffee Bean -a FREE 12 oz. Holiday Drink. No purchase necessary! FREE drinks include Pumpkin Latte, Pumpkin Iced Blended Drink, Peppermint Latte, Peppermint Iced Blended Drink, or Winter Dream Tea Latte. Yummy! Call ahead to make sure your local store is participating. Thanks to The Frugal Girls! Have you ever used Restaurant.com? It's so easy to use and they have a great sale going on where you can buy a $25 gift certificate for only $2!!! Hurry, this offer is valid through 11/12 only! Use code: "ENTREE" to get your discount. We've used Restaurant.com before and found some great restaurants in our area. During these sales, sometimes the restaurants are sold out - so hurry and jump on this offer!! You can search restaurants by zip code, which makes it very easy! Click here for Restaurant.com ! Remember, this offer expires 11/12. Use code: "ENTREE" to get your discount. Hurry, this giveaway ends on November 11th! Good luck! Check out The Thrifty Diva giveaways! Register now to win! Upcoming Giveaways: Stay tuned for some great giveaways coming soon! 1 PPGazette - Get All Printables Here!